It was evident from the first that she smoked tobacco to great excess, frequently, as she told me, using a pound a day. I soon learned also that she was addicted to the use of haschish. She several times endeavored to persuade me to try the effect upon myself. She said she had smoked opium, seen its visions and dreamed its dreams, but that the beatitudes enjoyed in the use of haschish were as heaven to its hell. She said she found nothing to compare with its effects in arousing and stimulating the imagination. She had tried hasheesh in Cairo with success, and she again indulged in it in this city under the care of myself and Dr. Edward Sutton Smith, who had had a large experience with the drug among his patients at Mount Lebanon, Syria. She said: “Hasheesh multiplies one’s life a thousandfold. My experiences are as real as if they were ordinary events of actual life. Ah! I have the explanation. It is a recollection of my former existences, my previous incarnations. It is a wonderful drug and it clears up profound mystery." 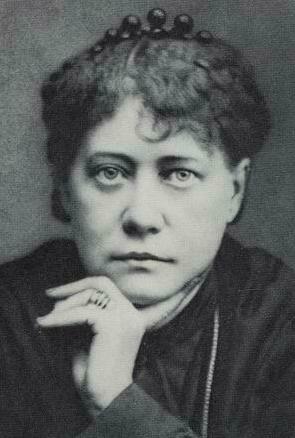 The modern-day Theosophical society denies hashish had any great influence on Blavatsky's life, admitting she may have experimented with it in her youth, and pointing to a couple of negative comments towards hashish Blavatsky made near the end of her life when her health had deteriorated from chain-smoking cigarettes, and found herself unhappily surrounded by scandal.